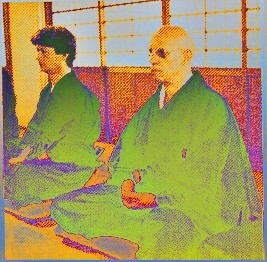 (Above: Michel Foucault pratising meditation in a Japanese Zen Temple) The West has witnessed an explosion of interest in Buddhist teachings on mindfulness. Most of the popular literature adapts these ancient teachings for an audience in search of enhanced states of individual well-being at home and in the workplace. The underlying teachings of mindfulness offer much more in this consumer age; they offer new sources of critical inquiry into our collective condition under the sway of consumer culture. Since the post-WWll rise of mass advertising and the more recent global advance of consumer culture cultivated through the ubiquitous forms of media technology, our collective ‘attention’ has become the latest frontier in the processes of enclosure and commodification. Advertising, the mass media, technological advances in social media and celebrity culture underpin deeply rooted practices of individualism and materialism by facilitating a global competition for ‘mind share’ in the attention economy (Rowe 2009). These technologies have also come to mediate our popular self-understanding and how we relate to notions of self in a profound way. But at what cost? There is an increasing recognition that ‘attention deficit’ is the price individuals now pay for their participation in the new ‘attention economy’ that treats attention as a scarce commodity to be pursued and monetized at every opportunity. The deficit is commonly experienced as a form of time poverty. This condition has multiple implications for our quality of life, well-being and ability to negotiate wise and sustainable choices for ourselves, society and ecology. A Critical Political Economy of Attention would draw on the rich Buddhist-inspired philosophical and psychological teachings that underpin the practice of mindfulness and attention to inform critical insights into the nature of the contemporary economy, its construction and pursuit of human attention, and its implications for our well-being, collective resilience, and global ecology. Drawing together lively debates from the new economics of transition, resilience and well-being, sustainable consumption, and the emerging role of mindfulness in popular culture, we need to speak to audiences from both the sustainability disciplines and students of Buddhism and mindfulness. As advanced global capitalism – or capitalist realism – targets, perhaps above all else, the human capacity for attention there are far reaching implications for our well-being – psychologically, physically and spiritually, and ultimately for our global ecology – because our innate capacity for mindfulness and a quality of attention is the realm, the final commons, where the potential for human adaptation to new ecological and social boundaries must be cultivated if we are to flourish as a species in the era of the anthropocene. 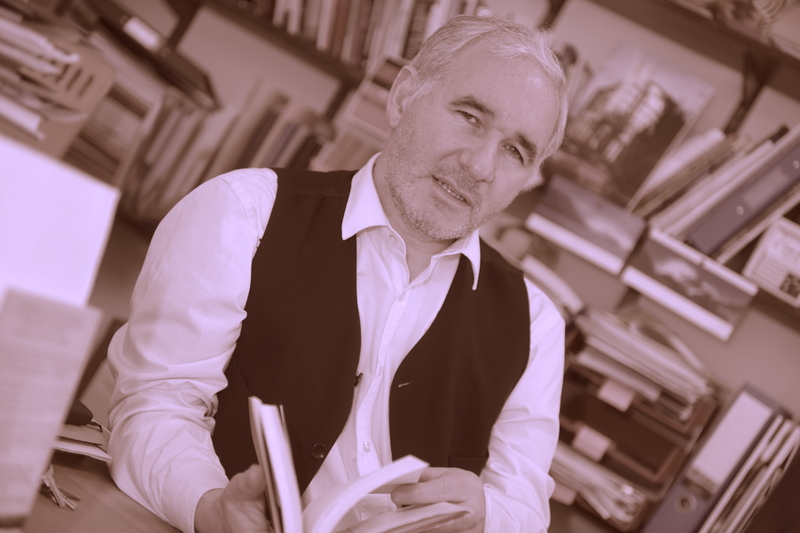 In his recent work on sustainable economics, Tim Jackson (2011) called for structural changes of two kinds that must lie at the heart of any strategy to address the social logic of consumerism: a. Tackling perverse incentives for unsustainable and unproductive status competition; and b. Establishing new structures that provide capabilities for people to flourish, and particularly, to participate fully in society, in less materialistic ways. Micro- and macro analyses of the processes of capitalization (accelerated since WWll) that now (pre) occupy, commodify and monetize the universal human capacity for attention: enclosure of the mindful commons. Under the neoliberal phase of capitalism, specifically the decisive shift in the balance of public and private control over the global media and telecommunications complex, the processes of capitalization targeting attention formed the vanguard of capitalism’s psychic investment: a form of technology designed to enclose the human imagination and notions of subjectivity (notably the relation to the self (see Michel Foucault and McGushin (2008)). As Paul Rutherford (2008) has noted, the fastest growing economic sector during the 1990s was the cultural industries – advertising, architecture, TV and radio, music, publishing, film, and video, design, designer fashion, and computer and video games. Their raw materials are information, sounds, words, symbols, images, ideas, produced in creative, emotional and intellectual labour. But they also rely on a newly conceived and scarce resource: attention. This assault on human sensibilities has also been traced by scholars who have highlighted the ‘High Price of Materialism’ (Kasser 2002), including the infantilization of American adults (Barber 2007). Others have documented the rise of the cult of novelty, the cultivation of hyper-individualism with its accompanying pathologies, and the resulting severance of societal commitment devices (Offer 2006). Biopolitical formations of internalized self-regulation have become vital to the survival of the global neoliberalism. Dispersed, heterogenous, deregulated, de-governmentalized (consummatized) forms of capitalization have demanded new and diversified kinds of self-regulating attentive subjects. The regulatory self has become a regulatory ideal as individuals have found themselves taking on more and more responsibility for their life course mediated by a series of (infinite) choices. In the process, attention has become an essential part of practices of consumption, leisure, labour, pedagogy, medicine, psychology and media culture. Equipped with a better understanding of the resulting social depression (Jackson 2010), policy will have to pay closer attention to the structural causes of social alienation and anomie, and adopt as an explicit policy goal of the upholding of conditions that support human capabilities for flourishing, including a reclaiming of the mindful commons. This will only come about when we fully understand the implications of the ‘attention economy’, with its colonization of consciousness and potential for undermining reflective and attentive faculties that go hand in hand with the demands of active citizenship and ecologically sustainable lifestyles. I want to demonstrate a timely and compelling match between the profound societal questions around the fate of our global ecology, notably the questioning of consumerist culture (unsustainable consumption versus sustainable lifestyles) and the insights of traditional and contemporary Buddhist scholarship on mindfulness (focusing on the cultivation of resilience through a capacity for ‘attention’ and mindful awareness in the now). Buddhist philosophy and psychology, supported by contemporary neuroscientific studies on mindfulness, not only offer the basis for personal and collective counter-practices for those who seek to decolonize their mind/bodies, but offer original insights into the technologies and practices that translate the processes of capitalization in late consumer culture. To paraphrase Foucault (after McGushin 2007), it is within such embodied reflection that moments of opposition and overcoming of the logic of consumerism as an all pervasive experience of biopolitics will also be understood and cultivated. Mindfulness practices and their underlying teachings also have the potential to re-awaken similar intuitions within our own Western philosophical traditions, including the voluntary simplicity movement and its forebears. Nietzsche’s questioning of our restless relation to the self (Bubna-Lilic 2007) corresponds to a core insight within Buddhism and summons up the iconic image from the Zen Buddhist tradition: that of the ox herder, the metaphorical image of the restless search for the empty self. In Nietzsche’s writings and those of others in the Western canon, we can recognize a human predisposition that was always going to be vulnerable to the most intimate enclosure: the enclosure of the mindful commons. The notion that there is something missing is a powerful theme in many commentaries on neoclassical economics. The philosopher Charles Taylor (1989) observed that there has been a profound gap in the West’s philosophical response. He suggests that there has been a tendency in moral philosophy to focus on what it is right to do rather than what it is good to be, defining the content of obligation rather than the nature of the good life. (cited in Bubna-Lilic 2007:3) The global ecological crises and their drivers in our dominant economic paradigm, given sociological expression in a global culture of consumerism, is forcing such questions to the surface across the disciplines of ecological economics, environmental politics, psychology and environmental ethics. We need a new context for a renewed understanding of the quality of attention and the importance of the restoration of the value of mindfulness as a cornerstone of a new culture of flourishing and resilience. We could begin to re-examine the place of cultivation of personal/collective practices (askesis) that restore a certain integrity and alignment to our relation to the mind-body and to the earth, in the face of invitations to export our attention to channels of production and consumption. We could introduce the work of a key scholar in the Western Chan Buddhist tradition, Peter Hershock (1999) who has begun to describe how the technology of consumption modeled in the mass media results in attention being exported out of our immediate situation, resulting in a loss or compromise in relational depth and quality, effectively eroding presently obtaining patterns of mutual support and contribution (commitment devices as described by Offer), and further triggering new cycles of defensive and compensatory practices of consumption. The genius of contemporary consumerism is that its pathologies beget their own ends. At the heart of this project is our contemporary condition, or what Hershock has described as a recursive process that has intensified beyond the point at which all major subsistence needs have been commoditized, to the point at which consciousness itself is effectively colonized. These patterns have become so pervasive that Hershock goes so far as to speculate that consumerism’s undermining of our response to our suffering and predicament extends to a potential undermining of our collective response to the ecological crises. This, in turn, is linked to a society wide technological bias toward control that has come to inform Western self-understanding and experience and which leads to a denial of our interdependent origination among all things. I just recently had a new book published, From Greed to Wellbeing: A Buddhist Approach to Resolving our Economic and Financial Crises. This is very consistent with this material, and the book is focused on institutional change and socially engaged Buddhist economics. Please let me know if you’re interested. I’d love to hear more; perhaps you’d provide a few paragraphs that could be published here on the blog. My book will be published in June. I look forward to hearing your comments.